It takes a detailed understanding of physicality to make a meaningful difference in yours. 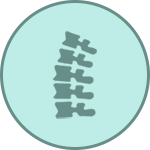 Through devoted study and application, our chiropractors have gathered a spectrum of therapies to ease biomechanical congestion. From the deep massage of Advanced Muscle Reconditioning, Active Release Techniques® and instrument-assisted Graston Technique® to thoughtful adjustments and integrated rehabilitative exercises, Drs. Lelke, Espinoza, and Predtechensky will build an individualized treatment plan to speed recovery and protect you from future injury. Let’s build you an individualized treatment plan to speed your recovery and protect you from future injury! Pick a session that works for you! If chiropractic services aren’t covered on your health insurance plan, we offer discounted all-inclusive payment rates for these services (inquire within): Use the Book Now button throughout the website for more detailed information on appointments and scheduling. We’re a network provider for Anthem Blue Cross, Blue Shield, Aetna, Cigna, HealthNet and American Specialty Health. *Once you schedule a New Patient appointment, you will receive a confirmation email with instructions to email Robin, billing@drlelke.com, who will gladly verify your insurance benefits. Here is a short list of just some of the more common chiropractic treatments and techniques we use to help you on your road to recovery. Based on our understanding of human neuromuscular systems, this hands-on technique effectively reduces muscle spasm and adhesion. Our practitioners lightly stroke across muscle fibers against the grain, having a deep effect despite the shallow depth of contact. It is beautiful for its simplicity and powerful results: truly reconditioning your taut muscle “knots” into relaxation. A movement-based style of deep massage patented by P. Michael Leahy, DC, CCSP, ART® allows access to more than three hundred muscles, ligaments, tendons, fascia and nerves. Through examination, orthopedic testing and precise palpation, our doctors simultaneously diagnose and treat overused musculature, evaluating texture, tightness and range of motion before combining directed pressure with selections from more than ﬁve hundred prescribed patient movements. ART® reduces scar tissue from accumulated micro-tears, injury or hypoxia, ultimately lengthening, strengthening and releasing compromised areas of the body. All joints are susceptible to rigidity, especially when soft tissue injury induces the body to protect the area by restricting range of motion. Our doctors favor the Diversiﬁed adjustment technique to restore the skeleton’s ability to move at will, using short, quick, shallow manual thrusts in the natural direction of joint motion. Though spinal adjustments are most generally applicable for increasing ﬂexibility in the back, runners beneﬁt from subtle adjustments of the small joints in the foot, and devotees of throwing, racquet and aquatic sports need ﬂuidity in shoulders, elbows and hands. Our doctors treat women through all stages of pregnancy. They also treat school aged children for spinal wellness and to address discomforts that arise with growing up or getting injured. They use an extra-gentle approach to match the stature of her little patients. Trained in pediatric and adolescent health, trust that your little one’s aches and pains will be eased from a caring hand and expert guidance. Called “muscle stim” among physical therapists, electric stimulation is achieved by activating a light current through electrodes set on the skin. Directly provoking contraction relaxes muscles in spasm and spikes endorphins, lessening pain. The small, smooth ultrasound wand sends sonic waves into tight tissues through a light layer of cooling gel, increasing blood ﬂow and reducing swelling. You’ll feel only a mild sensation of massage as the constraint begins to subside. Linking office and home care with prescribed exercises reduces recovery time and costs while strengthening the body to avoid repeated issues. As part of your treatment, our doctors will teach you simple movements that you can practice on your own, from ball or foam rolling to yoga poses to balance, stability and strengthening tactics, cultivating proper posture and correction of strain. A hand-held device with a padded contact, the activator sends a brief mechanical pulse into a targeted joint, easing movement in extremely precise locations, including small joints such as the cervical vertebrae, wrists, feet and ribs. Part of this cushioned table lifts up a couple of inches and drops under the pressure of the doctor’s hands, adding easy momentum in adjusting the sacrum, pelvic bones, thoracic spine and sacroiliac joints. Greater impact with less exerted force makes chiropractic shifts more accessible and comfortable. Temperature can powerfully affect the body’s response to both injury and therapy. Heat soothes and relaxes, preparing muscles and fascia for deep manipulation, while ice lowers swelling and nudges lymphatic ﬂuid through suffering tissues to promote healing. For more than twenty-ﬁve years, Kinesio® taping, created by Dr. Kenzo Kase to mimic the feel and elasticity of skin, has been facilitating natural healing processes by stabilizing muscles and joints without restricting motion. Rather than immobilizing joints like traditional sports tape, Kinesio® tape secures the surrounding muscle by microscopically lifting the skin, promoting circulation while re-educating the neuromuscular system and discouraging further damage. As a certiﬁed practitioner, Dr. Lelke was featured in an October 2009 Triathlete article about Kinesio® taping’s relevance to sports performance, pain management and physical therapy. When healing hands need added impact, our doctors use Graston Technique® to break down scar tissue and fascial traps with stainless steel instruments that help her detect and correct ﬁbrosis and chronic inﬂammation. Developed by athletes, Graston Technique® is applied by more than thirteen thousand clinicians worldwide for its ability to relieve conditions thought to be permanent through a succinct course of treatment. We can help. Let’s fix it! Athletes work their bodies to extremes, but anyone can suffer from repetitive stress injuries and cumulative tension. From spasm, injury, scar tissue, tingling or pain in muscles, joints and tendons, to progressive conditions such as disc bulge, sciatica, carpal tunnel syndrome, rotator cuff tears, and tendinopathies, the daily rigors of training, desk jockeying or parenthood can sabotage your alignment. Let’s bring it back. Schedule an appointment with Onsight today!